Upwards of 30 fin whales (Balaenoptera physalus) have been spotted in inshore waters off the coast of Co. Cork according to reports submitted to the Irish Whale and Dolphin Group (IWDG) over the last two days. The move inshore by these oceanic giants follows a series of off-shore sightings by the Irish Air Corps in recent weeks. 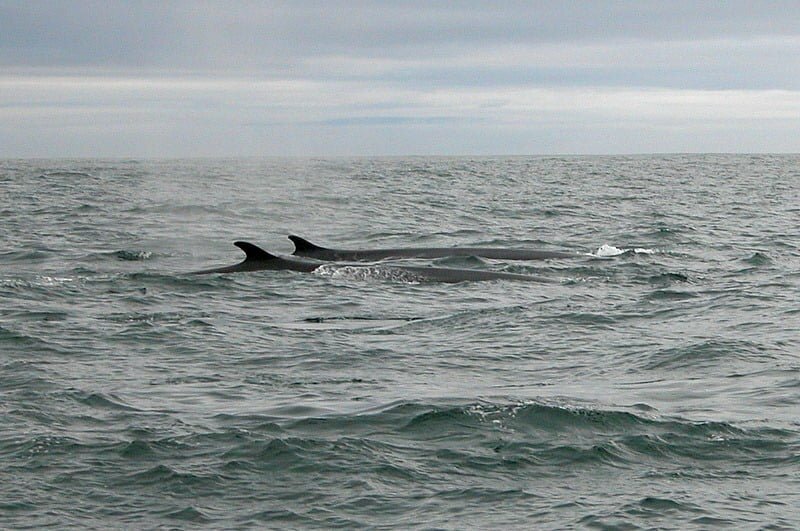 On the 11 July an IWDG Marine Mammal Observation team on board a research vessel counted 20-30 fin whales close to the Old Head of Kinsale, and today separate reports of 7-8 fin whales, believed to be two different groups of animals, have come in from the waters off Clonakilty Bay.